Paul and I are regular shoppers of IKEA. It's highly possible that someday, we will be able to furnish our future home with IKEA furniture pieces and items as it has been our go-to place since our 1st day here in Singapore. We would joke that if only we can live in IKEA, we probably would go for it. Well, who would have thought that the opportunity would come for us to "spend the night" in IKEA? A week ago, Paul and I were chosen to be one of the lucky few to join the exclusive IKEA Pyjamas Party. It was a 4-hour event starting at 11PM and we were told to come in..what else? !...our PJs. We were too shy though so we just went in our comfy t-shirt and shorts. Well, some were really brave and came in their full PJs complete with fluffy bedroom slippers! 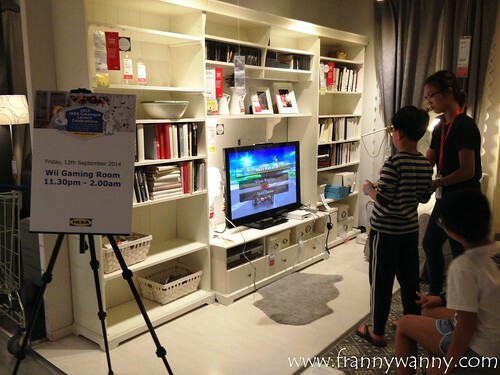 This event was to launch the 2015 IKEA catalogue also known as the new IKEA bookbook™. There were a lot of pocket activities that took place all throughout the 4-hour duration. 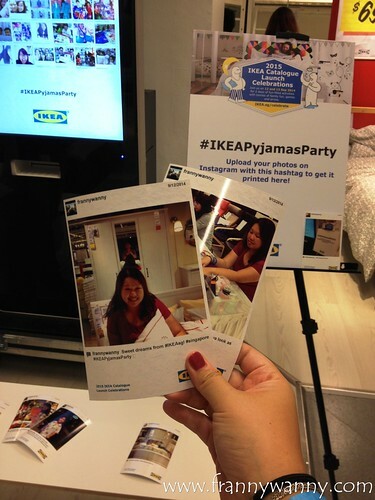 Let me take you on a quick tour around IKEA to see what took place during this fun event. 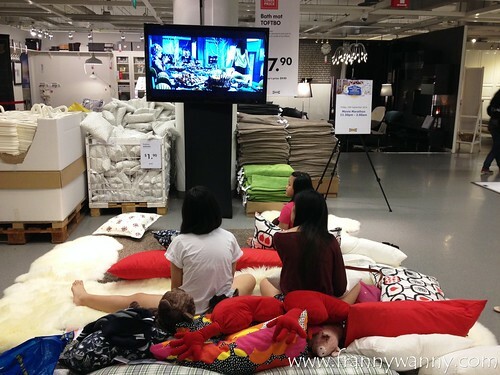 As you enter the 2nd floor of IKEA Alexandra, you'll see comfy pillows and blankets on the floor. There's a movie screening which the young ones enjoyed. I believe that's Hunger Games on the screen. We peeked into the different showrooms where Wii and Xbox consoles were set-up. On one corner, there were short workshops being conducted. From making your own aromatherapy oil at home to being able to Hack your Sleep. Of course, what caught my eye was the Express Manicure station where I quickly queued up for my turn. Here's a photo that Paul took that showed my ala-donya look as he would call it. I was so happy with my newly painted nails in sparkly pink! After this, we waited for our turn to have a 15-minute head and back massage. This was so relaxing that I almost dozed off if only the massage was a little bit longer. Both Paul and I really enjoyed the event and were thanking our lucky stars that we were chosen to be one of the few to experience such a unique slumber party at IKEA. Time flew by so fast that before we know it, it was already 2 in the morning and it's time to go home. Before that though, we just had to have a "we-fie" to document this for our future kids to see that "once upon a time, mommy and daddy spent the night at IKEA" haha! I hope luck will still be by our side for the next IKEA exclusive party. Thanks IKEA for making our dream to stay beyond store hours come true! IKEA is located at 317 Alexandra Road, Singapore 159965 and 60 Tampines North Drive 2, Singapore 528764. Wow, what a unique event! Pwede kasi dyan because it's safe even during the wee hours. I'd be kinda scared to attend an event na ganyang oras dito sa atin. Sana nga may Ikea na sa Pilipinas. 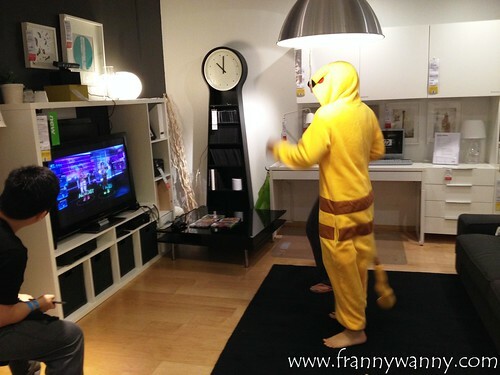 Ikea is my go-to store and I stay all day with them..